Stainless steel rule with metric/imperial scale. Quick and accurate measuring of angles. Digital display for easy reading of angle. Supplied with battery. Measuring range from 000.0 deg to 360.0 deg. Accurate to 0.3 deg. Rule locking function. Digital display for easy reading of angle. Easy operation with two press buttons. Auto shut off in 6 minutes. 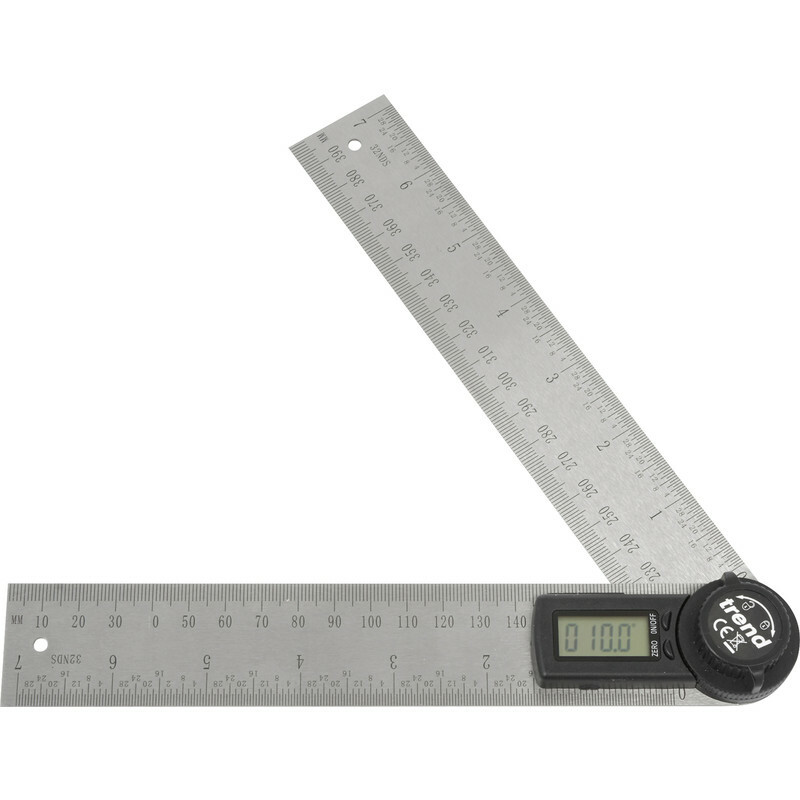 Trend Digital Angle Rule 300mm is rated 5.0 out of 5 by 1. Rated 5 out of 5 by RJWSuffolk from Very Useful Worked well, and solid construction. Great for marking out a hexagonal shape.